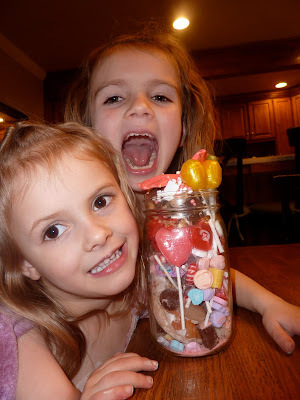 The girls were very proud of the junk jar this week. By far the biggest haul yet. I am so grateful this mix of sugar, hydrogenated oils, artificial colors and flavors are not inside their bodies. They have really caught the spirit!